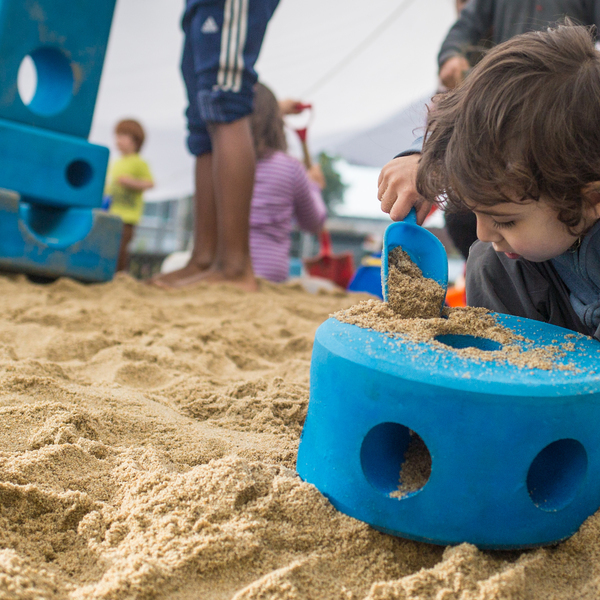 Our gallery showcases Play Everywhere projects developed from our grants and challenges. Browse the collection to gain inspiration for your own PLAYces! 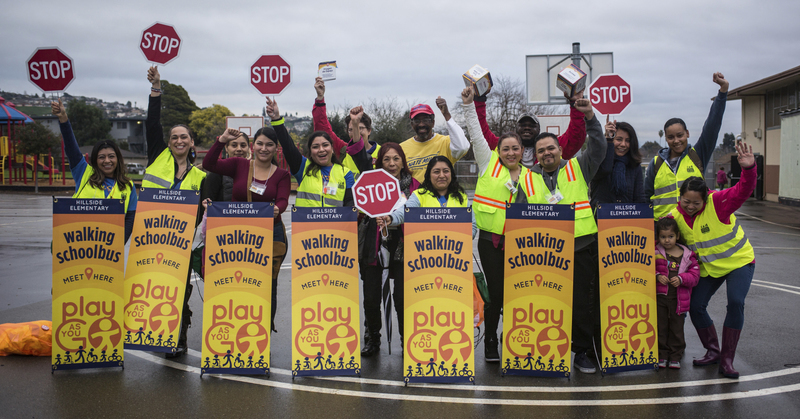 The Playful Walking School Buses program, led by Safe Routes to School, infuses "play on the way" opportunities for several existing walking school bus routes. 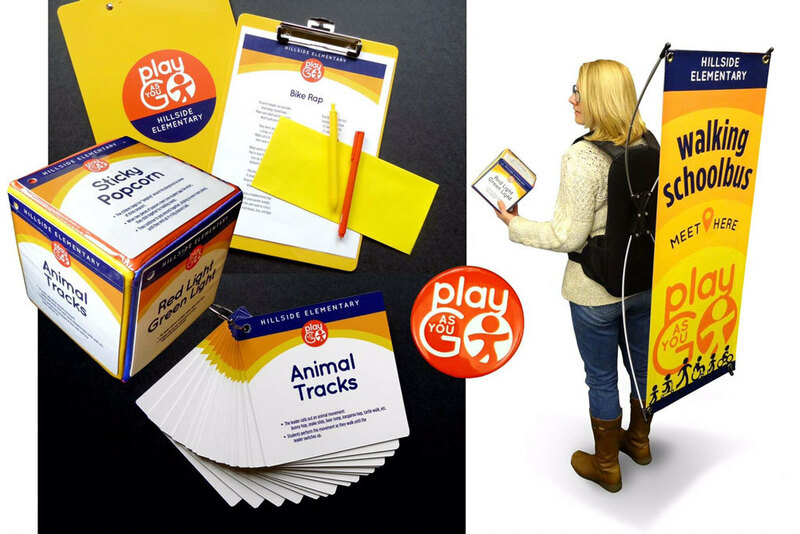 A Play As You Go Walking School Bus Kit was developed to bring an extra level of fun and activity to the walking school bus. 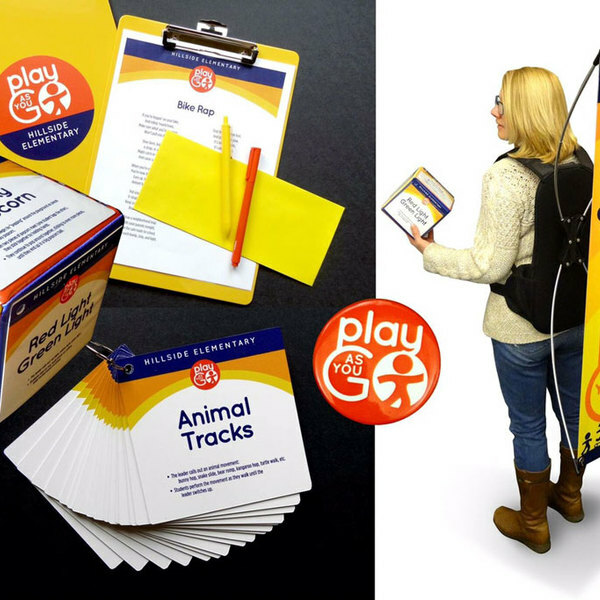 The kit includes a 16-activity card game (in English and Spanish) and 6" dice, and a backpack banner for the parent school bus leader to wear while leading the group. Also included are a clipboard, buttons, and stickers. All items can be customized with the school's name, mascot, and/or sponsor logos. 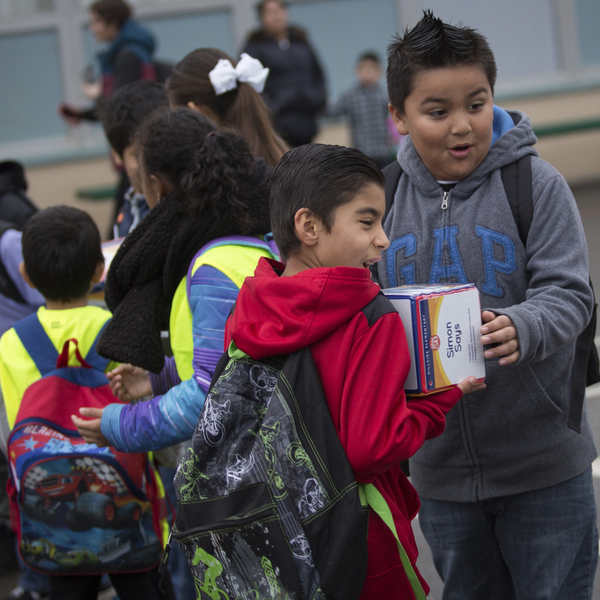 Providing safe, fun routes to school encourages kids to lead a healthy and active lifestyle from an early age. 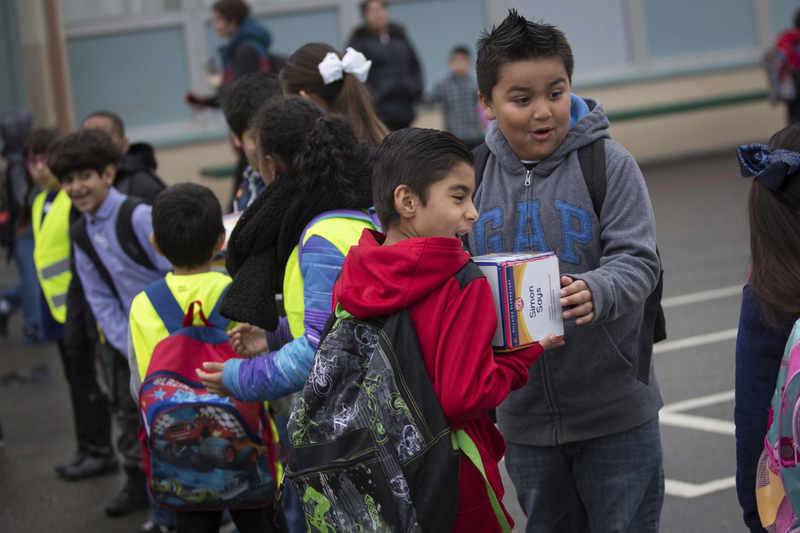 It helps kids start the day off on the right foot and energizes them for school. 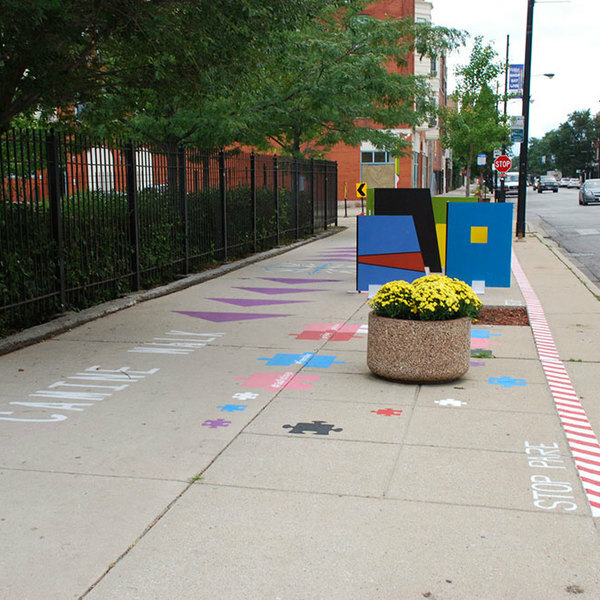 Safe Routes to School programs operate in all 50 states and the District of Columbia. Children benefiting from these programs live in urban, rural and suburban communities representing varying income levels and a range of walking and bicycling conditions. 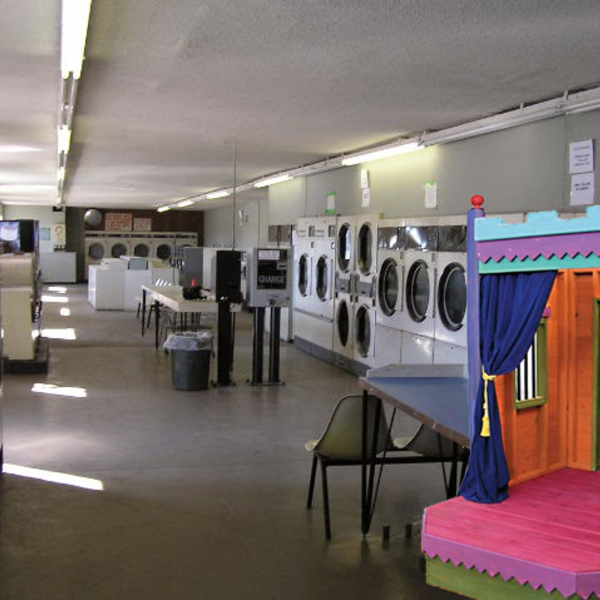 The Laundromat Theater transforms an ordinary errand into an opportunity for families to connect and create.